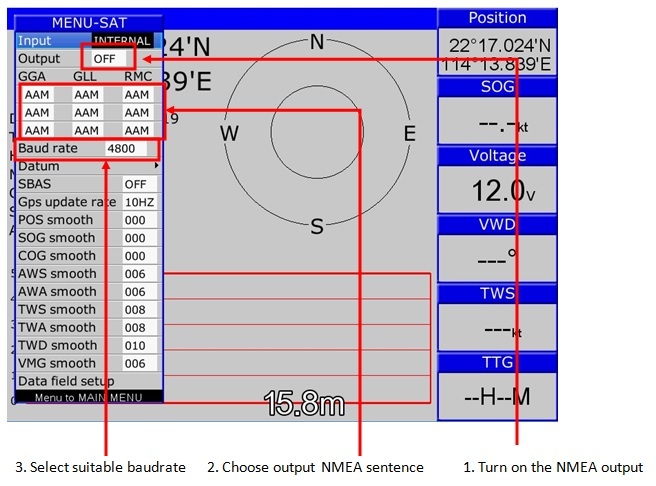 Frequently Asked Questions (FAQs) - ONWA Marine Electronics Co. Ltd.
1) How to get NMEA0183 output from Onwa Chartplotters ? 2) How to get AIS data output from Onwa AIS/Chartplotter ? 3) How to setup vessel information for Onwa AIS/Chartplotter? 4) How to setup vessel information for Onwa AIS transponder black box KS-200A ? 5) How to use Onwa KChart? 6) How to connect external data to Onwa chartplotter ?